The all-new Mazda MX-5 turns heads everywhere with it's fearless beauty and symmetrical design. Redesigned to be 20% lighter that its predecessor without compromising its rigidity or handling. The MX-5 is more responsive and intuitive giving you an unbelievable driving experience. 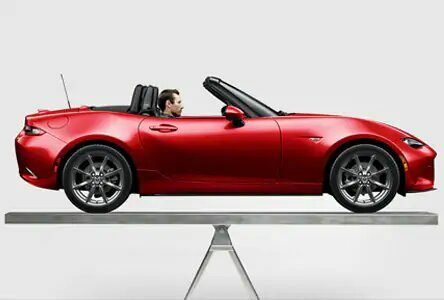 The Mazda MX-5 was crafted for perfection and attention yielding a nearly perfect 50/50 front-to-rear weight distribution. Redesigned 20% lighter than it's predecessor allowing you to connect with the road like never before. After 26 years, 4 Generations, and 1 million proud owners world wide the MX-5 has proven itself as the best-selling roadster of all time. 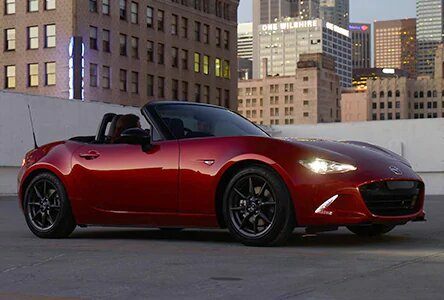 The MX-5's lightweight build and aerodynamic body have established it as an iconic race car, with more Mazdas and Mazda-powered vehicles raced on any given weekend than any other car. The SCCA Mazda MX-5 World Cup has ran for over a decade, featuring many notable up-and-coming racers, reminding car enthusiasts that the MX-5 is just as exhilarating on the road as it is on the race track.